Smells Like Teen Spirit – A Call to Float Duty! There’s something lingering in the air lately around Denair High School and it’s not coming from chickens. At first it was subtle, but it seems to be growing to a point where the senses can no longer ignore it. Can you sense it? It reminds one of a popular 90’s song from the band Nirvana. In case you haven’t guessed, it Smells Like Teen Spirit around the high school these days. Denair High is getting its mojo back thanks to the hard work of its staff and students. The athletic director, Darrin Allen, has been working hard to turn the athletics programs around and under its new head coach, Ted Howze, the football team had an exceptional victory against Riverbank. Student leadership led by Joel Thornton, and Leadership teacher, Robyn Hilton are also key players. There’s a wash of purple attire Fridays on the campus, and a heightened enthusiasm amongst the students and staff. 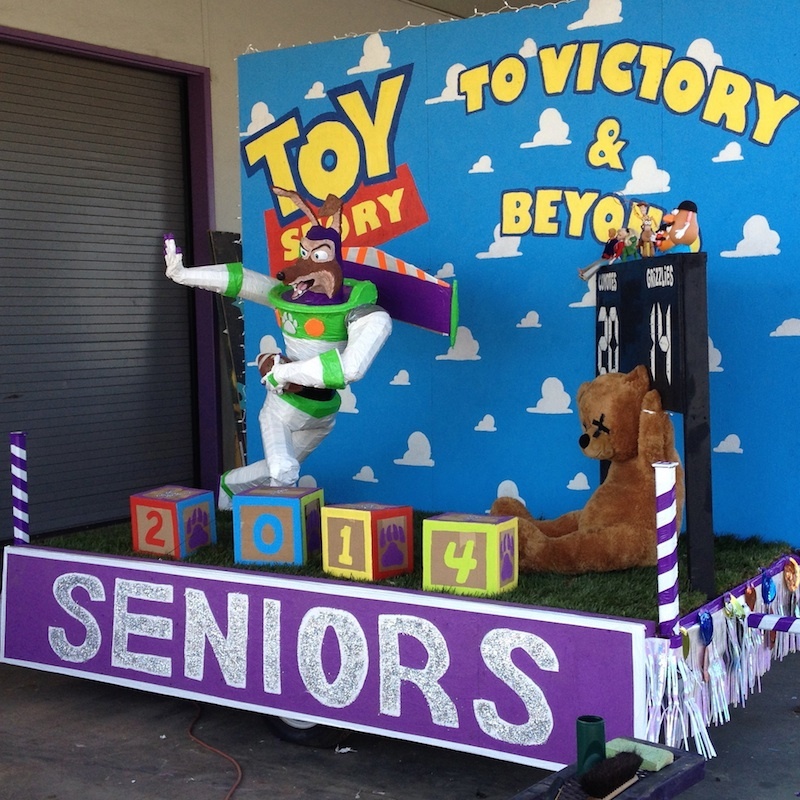 One area of focus, and the reason for this article, is to highlight what’s being done differently this year regarding the building of the school’s floats. The high school leadership wants to help fuel the school spirit by creating homecoming floats that are the envy of the area, so the leadership class and selected art classes will be teaming up and getting an early start this year. The students have already picked out their ideas, and plans are underway. To donate please contact Robyn Hilton (632-9911 ext. 4244, rhilton@dusd.k12.ca.us) or John Stavrianoudakis (632-9911 ext. 4226, jstav@dusd.k12.ca.us) so that they can communicate with donors about material needs that may or may not have been met. For cash donations, checks may be made payable to DHS ASB and dropped off at the HS office or given to Mrs. Hilton. Check out the high school’s new Float Building web page to get an idea of what they have in store for this year. Posted in News and tagged Denair High School, floats. KaLee Lopes liked this on Facebook. Monica Bettencourt liked this on Facebook.